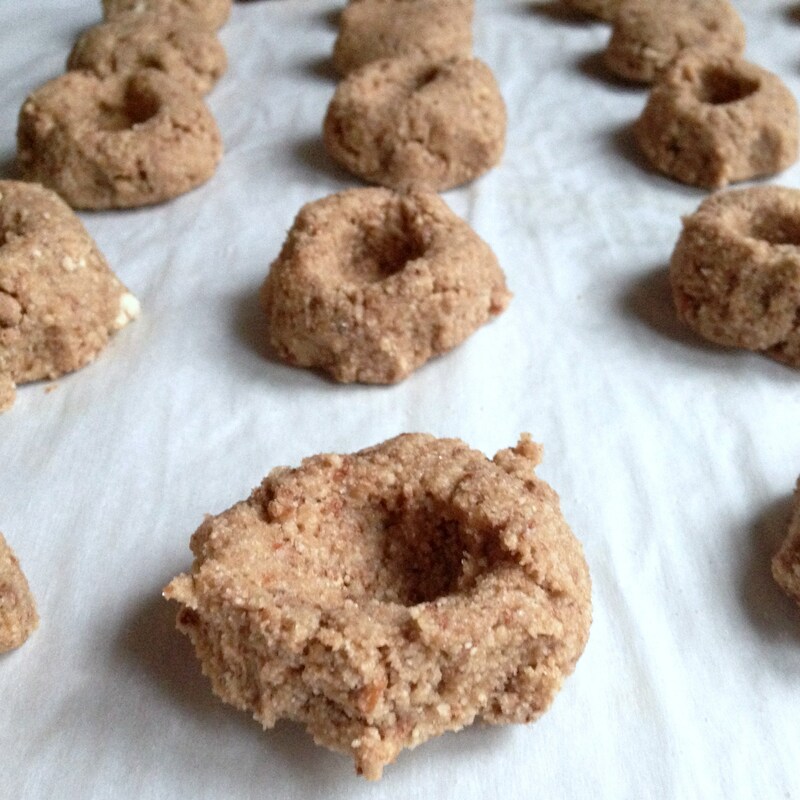 Homemade Almond Milk and Almond Meal Thumbprint Cookies - plus Quinoa for Breakfast! I love the fresh feeling that a new year swirls into life. Even though I don’t have a laundry list of resolutions this go round, I'm laced with the desire to take small steps of self improvement. One that’s been on my mind is increasing my self-sufficiency, becoming less reliant on convenience and ready-made products and more apt to make things myself or improvise with something I’ve already got. It’s so easy for me to go to the store any time and buy most ANY thing I want or need, but what if I first comb through a few forgotten basement alternatives or YouTube how to fix the thing I already have, or gosh, even just hit up Goodwill before heading to Target? I figure this could be good for my soul and my pocketbook. Another small change I’d like to work on is generating less food waste. This summer I read Tamar Adler’s An Everlasting Meal which embraces economical cooking: not wasting the parts of food we tend to throw away. I tried some of her tricks but then got a little lazy (and also tired of all the broccoli stems and cauliflower cores building up in my fridge), but I’m willing to try again with some New-Year-zaza energy! The recipes that follow are manifestations of these two small changes: homemade almond milk to prove I can do it myself (without carageenan and potassium sorbate to boot!) and almond meal thumbprint cookies to showcase how delicious and worth keeping the “byproduct” of almond milk can be. Then, in celebration of all our New Year clean-eating intentions, there's a recipe for tummy-friendly quinoa breakfast porridge simmered with chocolate almond milk and topped with pecans and cinnamon. Happy New Year. 1. In a large bowl, cover almonds with 2 inches of water. Let soak for 8-12 hours. 2. 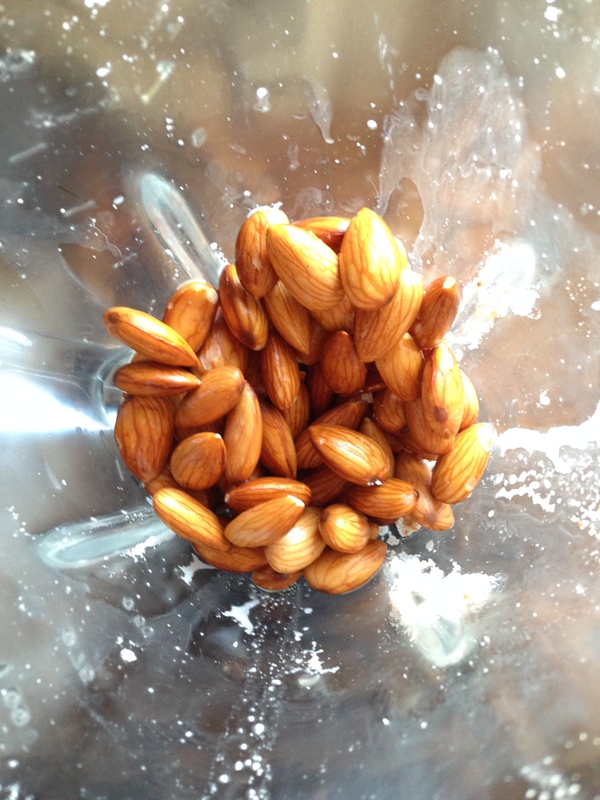 Drain and rinse almonds. 3. 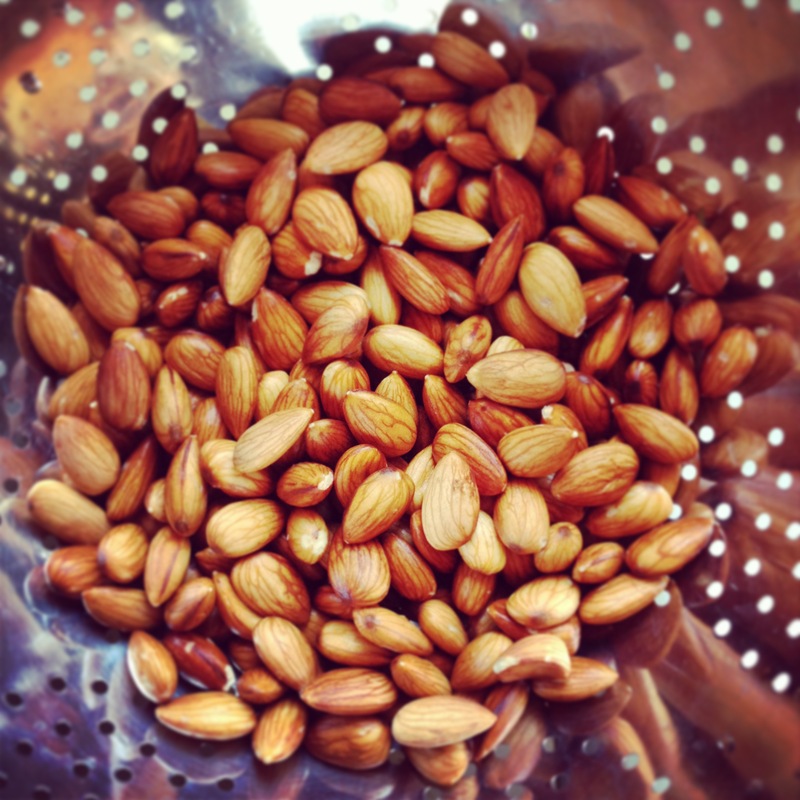 In a blender, combine 2 cups almonds and 6 cups filtered water. Blend on high speed for 3 minutes, or until almonds are completely pulverized and liquid is milky in color and consistency. Add salt and any flavorings and blend on low until incorporated. 4. To strain almond milk, set a strainer over a large bowl or pitcher. Line strainer with cheesecloth. Slowly pour the milk from the blender into the lined strainer, watching to make sure it doesn’t overflow. 5. Allow milk to drain for a minute or so. Now, the fun part: gather cheesecloth ends to form a pouch, making sure the almond meal is totally enclosed in the cloth. Next, with clean hands squeeze the pouch in all different spots, wringing out every last drop of milk. 6. Transfer your almond milk to an airtight container and store in the fridge. Shake well before use. It should last about a week! 1. Preheat the oven to 375°F and cover a cookie sheet with parchment paper. 2. In a large bowl, combine softened butter and sugar. Whisk until light and fluffy. Stir in the egg, vanilla, almond extract, and salt. 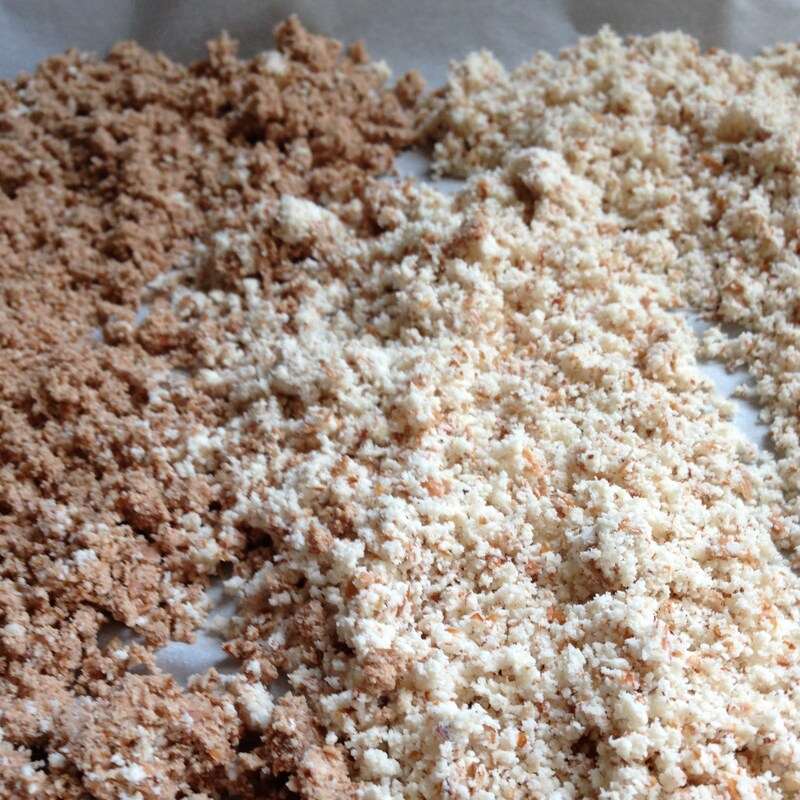 Add the almond meal and stir to combine, making sure there are no dry spots. 3. Gently roll dough into tablespoon-sized balls and place on your cookie sheet at least two inches apart. Make a “thumbprint” in the middle of each cookie. 4. Bake cookies for 9-10 minutes or until they're just beginning to crack and brown slightly. 5. 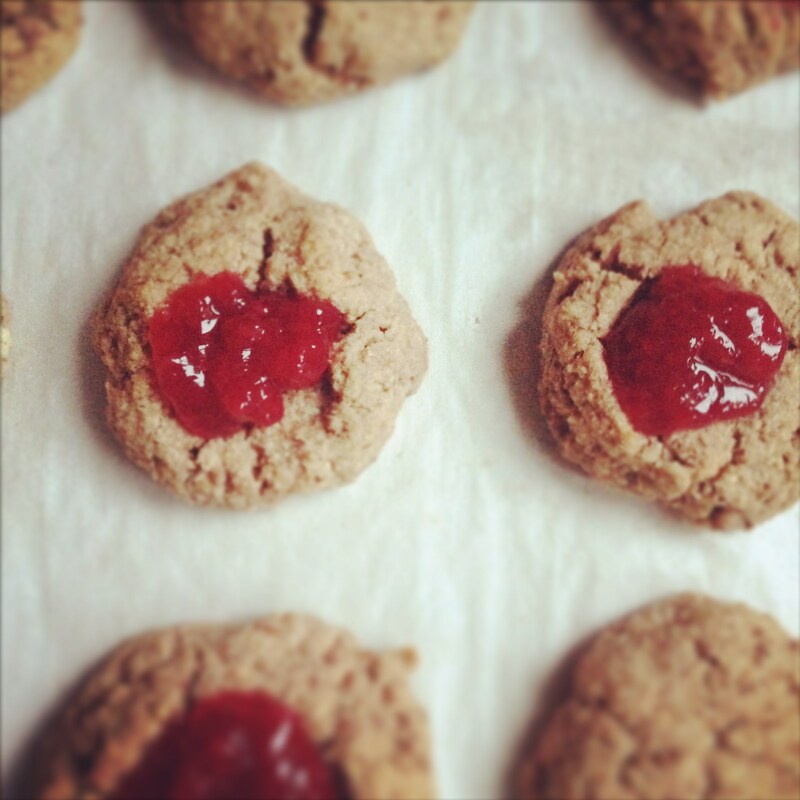 While cookies are still cooling, fill the thumbprints with about ½ – 1 teaspoon of jam. Cool completely before serving. I also made some without jam and they are almost as delicious. 1. In a small saucepan, combine quinoa, milk, water, spices and salt. 2. Bring mixture to a boil for a few seconds, then reduce heat to a low simmer and cover, cooking for 15 minutes. 3. Turn off heat and allow quinoa to sit covered for another 15 minutes. After sitting, remove pan lid and fluff quinoa with a fork. 4. 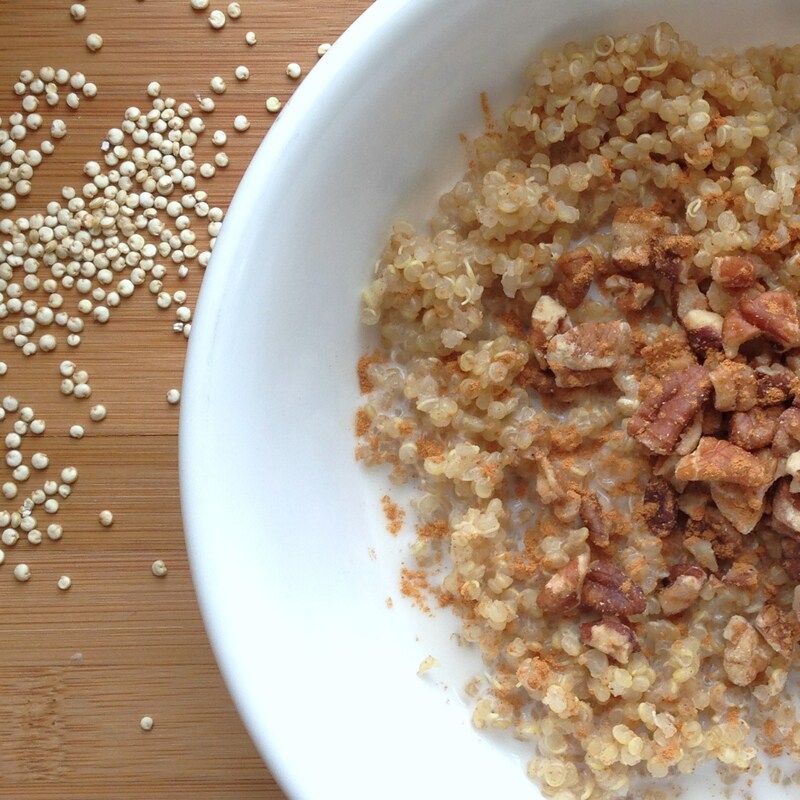 Serve this quinoa porridge warm with more homemade almond milk poured over the top (chocolate almond milk preferred!). Other yummy toppings include: chopped nuts, banana slices, maple syrup, and more cinnamon.